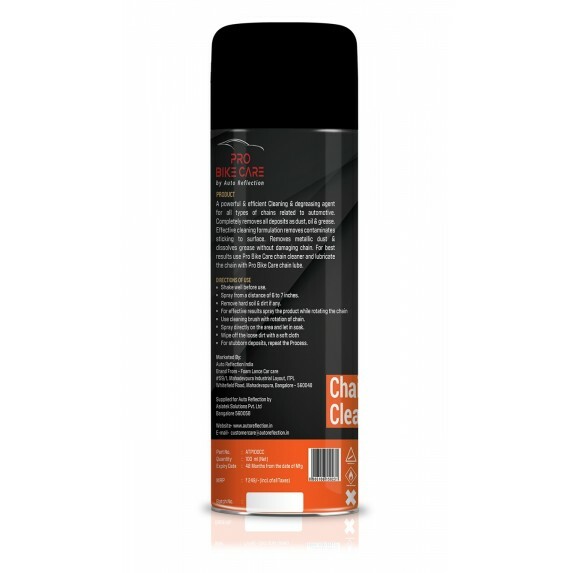 A powerful & efficient cleaning & degreasing agent for all type of chains related to automotive. Completely removes all deposits as dust, oil & grease. Effective cleaning formulation removes contaminates sticking to surface. Removes metallic dust & dissolves grease without damaging chain. 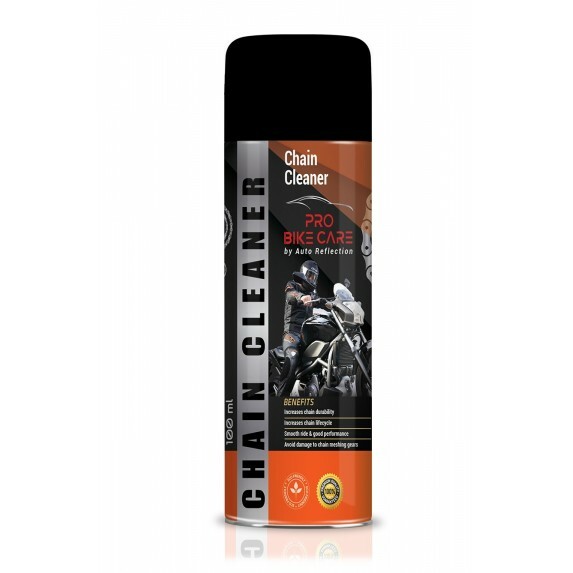 For best results use Pro bike care chain cleaner & lubricate the chain cleaner with Pro Bike Care Chain Lube. 2. Spray from a distance of 6 to 7 inches.